Racecar drivers don’t easily forget. No. 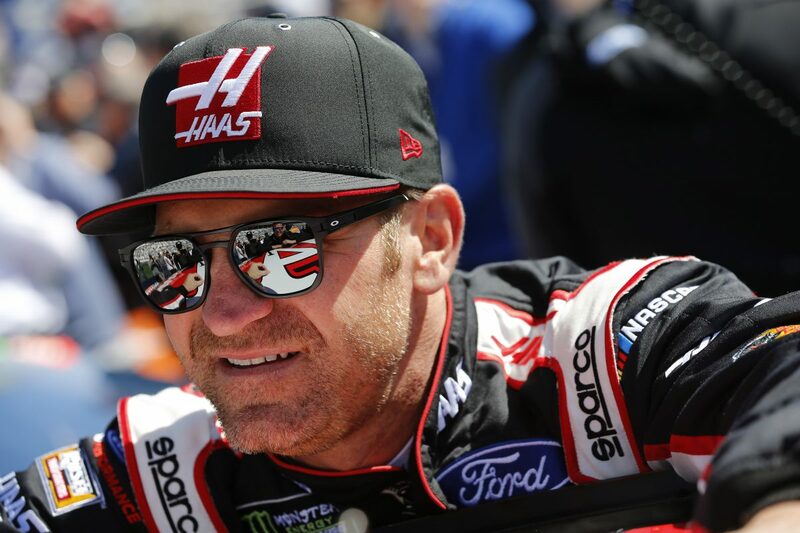 14 Haas Automation Ford for Stewart-Haas Racing (SHR) driver Clint Bowyer remembers how close he came in August to winning his first Monster Energy NASCAR Cup Series race at Bristol (Tenn.) Motor Speedway. After struggling in practice and qualifying, in the race Bowyer showed early speed on the half-mile track moving from his 16th starting spot to third by lap 90. He held that position through the start of the second stage before drifting back to sixth. The final stage was when things began to get interesting. He started seventh and charged to the front, passing his then-SHR teammate Kurt Busch for second on lap 344 of the 500-lap race. During a caution about 10 laps later, the No. 14 pit crew returned Bowyer to the track in first place. He held that position for nearly every lap until a restart with 33 laps to go. That’s when the night took a turn for the worse. Four more cars passed the No. 14 and Bowyer finished sixth despite leading 120 laps. It was a bittersweet performance, to say the least. He was mad at himself for not winning his third race of the season, but also happy with the progress the team made from qualifying to the race. Bowyer would like another chance when he races Sunday in the Food City 500 at Bristol, where his No 14 will carry the black-and-red paint scheme of Haas Automation, Inc. Haas Automation is America’s leading builder of CNC machine tools. Founded by Gene Haas in 1983, Haas Automation manufactures a complete line of vertical and horizontal machining centers, turning centers and rotary tables and indexers. All Haas products are built in the company’s 1.1-million-square-foot manufacturing facility in Oxnard, California, and distributed through a worldwide network of Haas Factory Outlets. Haas co-owns SHR with three-time Cup Series champion Tony Stewart. SHR has two points-paying victories at Bristol – Busch in August 2018 and Kevin Harvick in August 2016 – and has 10 top-five finishes and 25 top-10s in 62 starts. Bowyer has raced well over his career on the Tennessee track, posting seven top-fives and 13 top-10s in 26 starts. He arrives at Bristol on a roll after a second-place finish at Texas Motor Speedway in Fort Worth. The finish moved him to 11th in the season standings. At the first short-track race of the season two weekends ago at Martinsville (Va.) Speedway, Bowyer finished seventh. A win Sunday would help him in the standings, likely securing him a spot in the NASCAR playoffs and earning Bowyer a trophy at a track he has long admired. Bristol Motor Speedway is the third-largest sports venue in America and the seventh-largest in the world, seating up to 162,000 people. It’s a place Bowyer claims is a symbol of NASCAR’s success. What are your thoughts after finishing seventh and second in the last two races? Why do you like short-track racing? What is racing at Bristol like?